The closure offers a large, knobbed grip around the outside edge in order to offer an excellent grip for removal. The closure, being a twist off, can be grasped, turned, and opened. Using a twist off for a mayonnaise isn't something most firms would contemplate. Usually, easily perishable items use a continuous thread closure to ensure a tight seal, thereby cutting down on possible contamination. Kornelis' twist offs, using the company's proprietary thread technology, proved more than sufficient for the client. 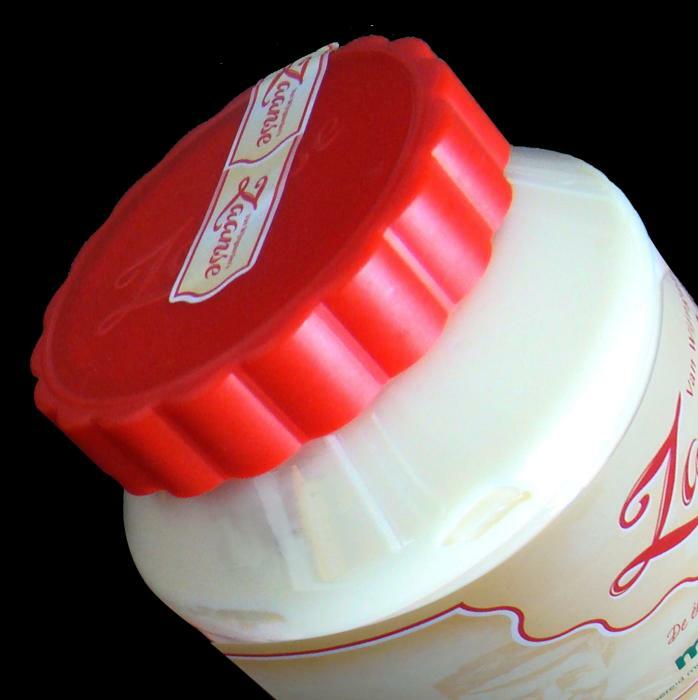 The seal is always tight while remaining easy to open and close. Kornelis also ensured the top had a visual security cue included as a part of the pack. A simple paper seal running from the primary container label to the closure is a simple way for consumers to see whether the packaging has been tampered with and thus, be avoided. With quite a bit of decoration know-how, Kornelis was also able to include an embossed logo on the top of the closure, to assist in identification and offer another clear branding location. Faced with a number of requirements, the closure was set as a custom solution in order to fulfil all the specifications set down by the customer. With Kornelis' design and technical team meeting the challenge, the closure was conceived, protoyped, and finally produced on time and within budget. Made of hard and resilient materials, the 63mm closure is an excellent choice for sauces, spreads, and any number of other food products.